The deadline is December 15 to buy a health or dental plan for 2018! Don’t miss out on having coverage next year. 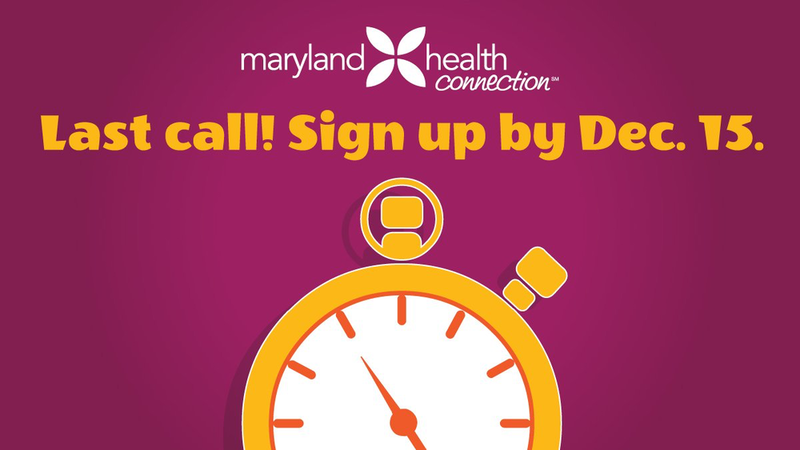 Come to a Maryland Health Connection event from Dec. 8 to Dec. 10 for your Last Chance to get free, in-person help signing up. We’ll provide expert help understanding your 2018 coverage options and the savings available. Don't forget to use the hashtags #LastChance and #LastChance2Enroll, and share with us at @MarylandConnect on Facebook and Twitter, or @GetCoveredMD on Instagram. We also encourage our partners to download our toolkit (PDF) to help promote events and share more of our social media content. Giving Tuesday: Get Engaged and Give!